Morag please remember that bluebottles are looking for decomposing creatures in which to lay their eggs. Its not healthy to have these blighters in the house. Well, thankfully, so far( ) there are no decomposing bodies in my house or garden, if there are beasties in the house I release them outside. Freakiest ever was a wee bird got in my bedroom, my daughter and I finally caught it, worried sick it would die of shock, managed to throw a towel over it and get it outside, nerveracking! But Morag the blue bottles that enter your house were born in dead flesh and please kill them as they are germ carriers. Well, I don't have them here, but wouldn't kill them anyway, only things I kill are ants, can't pick them up one by one and release! They come in after the cat food mostly but some weather seems to make them more active, Been hot here but supposed to get cooler soon, even a chance of rain soon! 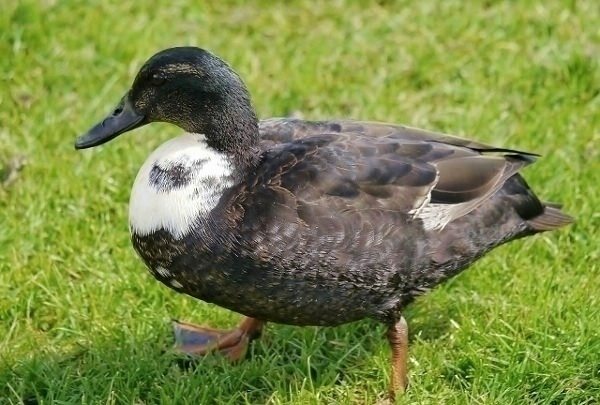 Bill, I'm pretty sure the first photo below is of the other ornamental Duck that made the Rec Quarry pond it's home. The second pic is of the mallard drake she paired with. 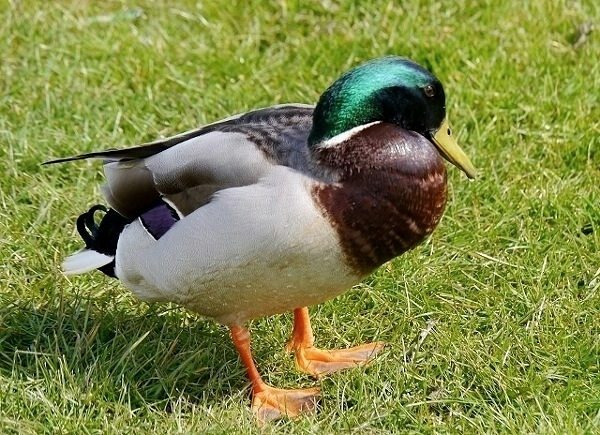 As a footnote, another poster "ebbe_skovdahl" also spoke earlier in the topic about these duck's. Last edited by michaelm on Mon Nov 27, 2017 9:03 pm, edited 1 time in total. Yep that's her and she produced a few broods. A Sparrowhawk in a tree at the edge of Ardeer Quarry Local Nature Reserve. Unfortunately, I didn’t have my DSLR with me, but my compact camera did an OK job of capturing it. Sparrowhawks were regular breeders on the reserve until recently. The reserve's woods have become more popular with dog walkers and, more worryingly, large groups of teenagers who descend on the site from across North Ayrshire to socialise, valdalise and get drunk. This seems to have driven the breeding Sparrowhawks away. A Cereal Leaf Beetle I found at Ardeer Quarry Local Nature Reserve a week or two ago. Leaf beetles are often colourful, metallic species, and this one is no exception. As its name suggests, it’s particularly fond of eating cereal crops, such as barley and wheat, and it’s a common agricultural pest throughout much of the world. Pseudomalus auratus, a species of ‘ruby-tailed’ wasp, from Stevenston Beach Local Nature Reserve. Ruby-tailed wasps are cuckoos of other solitary wasps. Pseudomalus auratus is a cuckoo of stem-nesting wasps – i.e. wasps that make nest tunnels length-wise in the soft pith at the core of dead bramble stems. This one was found in brambles on the reserve, where its species lays its eggs in the nests of Pemphredon lethifer, a small, black solitary wasp. A highly coloured person probably indicating that I don't taste too nice so leave me alone. Regarding the "scaup" pond they the scaups didn't return this year and I wonder why? Some Canada geese are now resident there but there is a lack of nesting sites so I guess most of them will soon clear off. A female Andrena scotica, photographed today on a Dandelion growing on a patio in Stevenston. This is a large, common solitary bee that can be found in pretty much any open, flowery habitat, including gardens. It's one of the earliest solitary bees on the wing: May is its peak flight season. Gah. Close up these are beyond scary !!!! Three species of moth from the family Orthosia caught at Ardeer Quarry Local Nature Reserve a week ago. From left to right: Clouded Drab, Common Quaker and Hebrew Character. During spring, moth diversity is rather poor; most of the larger moths one encounters are of these three species. Their caterpillars feed on a wide variety of trees and shrubs, while the adults themselves are particularly fond of feeding on the nectar from Willow catkins.